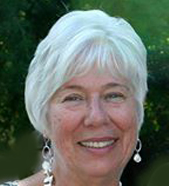 Mary Theresa Streck is a member of the Upper Room Inclusive Catholic Community in Albany, NY. She is one of the founding members of the People’s Catholic Seminary, a seminary without walls (pcseminary.blogspot.com). She earned a Doctorate in Education Leadership from the Sage Colleges and a Doctorate in Ministry from Global Ministries University. Mary Theresa was ordained a priest on September 15, 2013.